Oh dear … How can we make Happy Bear happy again? Young readers will be fascinated with the Venetian movements in this little board book, allowing them to watch the bear’s frown change to a smile with a simple page turn. 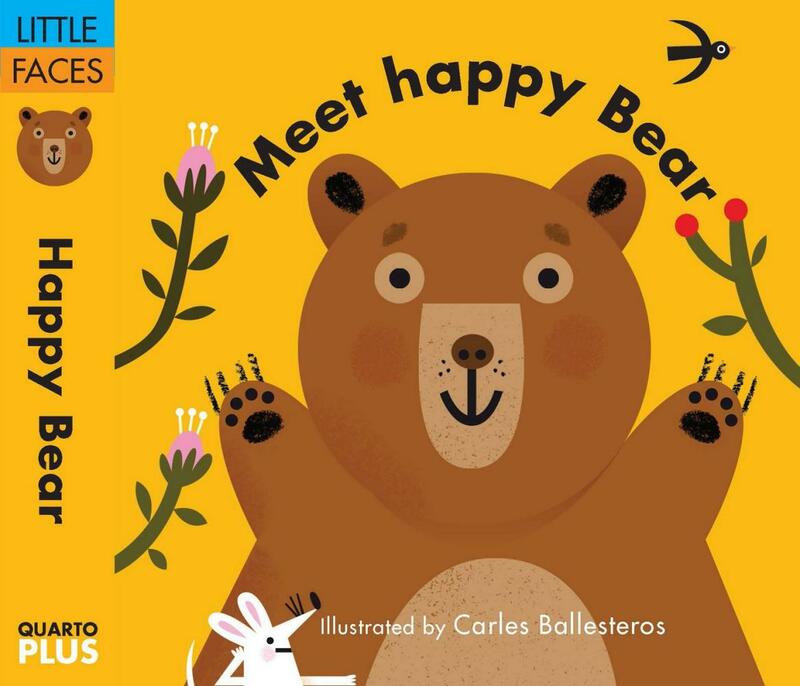 The story follows a simple, repetitive pattern while teaching basic emotions – the bear feels worried, angry and sad and the reader must turn the page to make him happy again. The playful text encourages children to involve themselves in the story. How will they make the bear happy again before turning the page? My 5-year-old chimed in with some creative ways – ‘we could make him a vegemite sandwich!’ My giggly 3-year-old was making funny faces at the page. My 20-month-old was so fascinated with being able to control the facial expressions that he simply wanted to turn the pages back and forth, over and over. In the story, it’s actually Little Mouse who is responsible for cheering up the bear, which did confuse my older two kids at first. (After all their efforts, they’d rather the text congratulated them, not Little Mouse!) Regardless, it’s a fun little book that’s great for reading aloud to children. The illustrations are bright and colourful. Circular page cut-outs cleverly frame the bear’s face on pages to the right, and Little Mouse to the left. My 20-month-old enjoys playing peek-a-boo through these cutouts too, thus adding another interactive element to the story. This book will mainly appeal to kids under the age of three and the Venetian movements so far seem quite sturdy in the hands of my page-turning toddler!